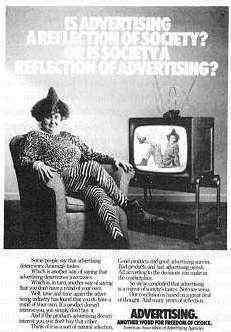 Wanted Requests for material associated with subliminal and manipulative ads as analysed and commented on in Jim Hagart's Subliminal World. The author is willing to pay up to £1 per copy (plus postage and package or delivery charge) for collections of certain older magazines (1970's to mid 1990's). A list of titles and specific issue numbers of interest will be added to this page at a later date. Magazines containing tobacco and alcohol ads would be of particular interest. UK editions of particular interest at present include Time, Newsweek, The Grocer, CSA, Marketing Weekly, Q, Design Magazine, Empire, The Face. US editions and equivalent magazines of relevance to advertising and magazines carrying tobacco and alcohol ads from around the world would also be of interest. Contributions or the loan of older magazines from individuals or organizations, whether in the United Kingdom or elsewhere, willing to support the examination of back issues for semi-subliminal advertising would be gratefully appreciated. 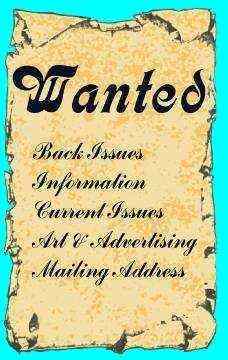 Information about archives of magazines or advertising in the UK would also be greatly appreciated. 1) Information from 'whistleblowers' or anyone else with information on any form of manipulative advertising, in particular semi-subliminal advertising, would be welcomed by the author. All informants will remain confidential if so desired but informants should read section X of the Disclaimer page with regard to information received. 2) If anyone has a copy of The History of Camel Advertising for sale or knows where a second hand copy can be purchased the author would be pleased to hear from them. 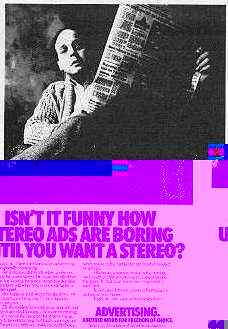 3) A couple of AAAA ads were analysed in the Ads from the Archives page. These were discovered in textbooks. The author would like to take a closer look at the original ads. If there were other ads in the series the author would also like to take a look at them. If anyone has original copies of any of these ads in their possession the author would be pleased to hear from them. Illustrated below are a couple more from the series. 4. Copies of any of the Advertising Standards Authority Top Ten Ad booklets for years other than 1997 would be appreciated. 5) Second hand copies of books such as the Advertising Year Book, World Advertising Review and other illustrated books on advertising are also sought by the author at reasonable prices. If informants have information about ads from magazines currently in print that seem relevant to this website they can send details of the ad, the magazine name, issue number and page number by e-mail. The author will do his best to acquire a copy from other sources. Do not send the actual magazine or ad..
Viewers will have noted a dearth of examples from the art world in these pages. This section may be extended considerably in future years. Suggestions of works of art for inclusion and any relevant references would be gratefully received. Very few references have been made to films and TV commercials on this site. This section may be extended in future and suggestions of films, works of reference and any other relevant information will be gratefully received. Television commercials have not featured in these pages even although a small proportion of these also use semi-subliminal techniques they are time consuming to collect. If anyone has copies of old commercials that they suspect contain semi-subliminal elements the author would be interested in hearing from them.